Discussion in 'The Arcade' started by PEB, Sep 1, 2015. 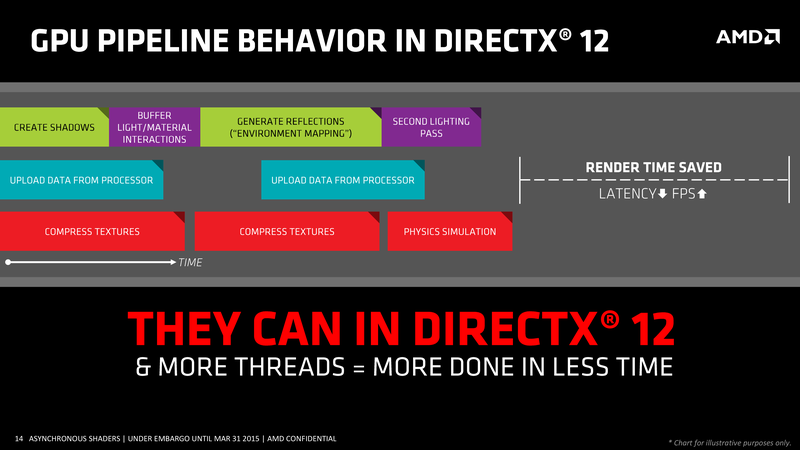 Well AMD may have found a kink in Nvidia armor because of DirectX 12 Async Compute functionality. Game consoles PS4 and Xbox One as well as PC's outfitted with AMD GPU's that support DirectX 12 fully support Async Compute. What is Async Compute you asked apparently some new games allow the GPU to handle more of the heavy-lifting in processing. 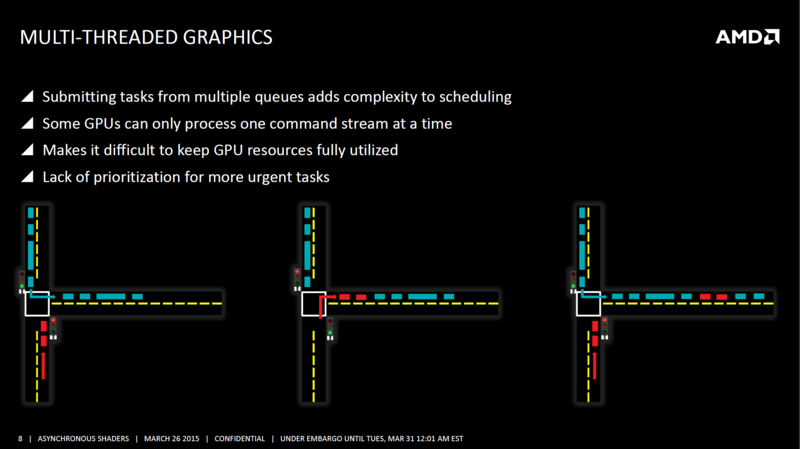 Both Nvidia and AMD handle these things but Nvidia uses a slower method of context switching and games using Async Compute take a sizable performance hit. The problem is many games that target consoles are using this technique in their Xbox One games and PS4 games to improve performance. In the case of Xbox One many developers are just porting most of the code over to their PC version. Here is the problem as they optimize for consoles their PC versions of the newest games take a hit on Nvidia. Here now is one area that AMD dominance in the console area is translating to gains in the PC gaming area and costing Nvidia. Oxide effectively summarized my thoughts on the matter. NVIDIA claims &#8220;full support&#8221; for DX12, but conveniently ignores that Maxwell is utterly incapable of performing asynchronous compute without heavy reliance on slow context switching. If memory serves, GCN has higher FLOPS/mm2 than any other architecture, and GCN is once again showing its prowess when utilized with common-sense workloads that are appropriate for the design of the architecture." 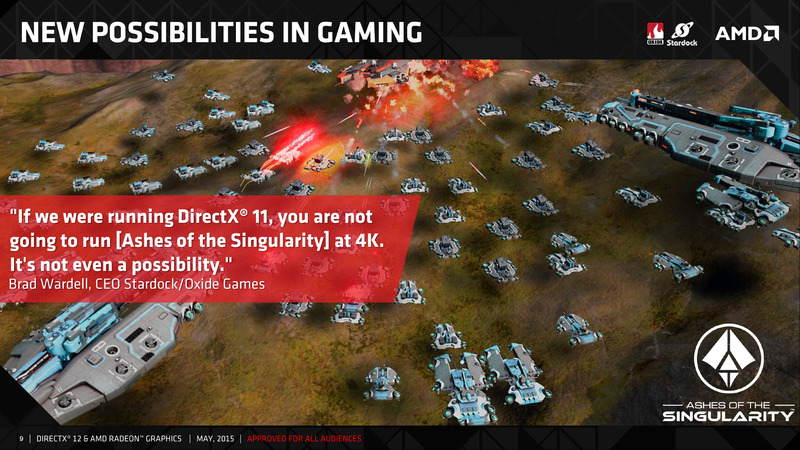 I don't know how much of a problem this really is but AMD seems desperate to show people they still got game. I'm not gonna throw out my 970 because AMD cards performed better in a benchmark for a DX12 game in alpha. Anyone willing to trade their MSI GX for my GT60? I know no one is really going nuts over this problem but complaints could happen. Its not like it does not potentially pose a problem for Nvidia? Much like the hair issue in some Nvidia supported games AMD cards took a performance hit. Its likely a fixable problem but right now AMD has got to promote these issues. No doubt because they are in trouble on Wall Street but also they want to promote the fact that they have a sizable chunk of the console business. How bad this is will be unclear until DX12 games actually start coming out and demonstrate how much they rely on async compute. Consoles may see a small performance increase but they already started behind and are likely to remain behind. I suppose it could be an issue for consumers if they are buying a new card as it may be one more thing to consider. Right now though we're going off a benchmarking tool for one DX12 game that is in alpha. 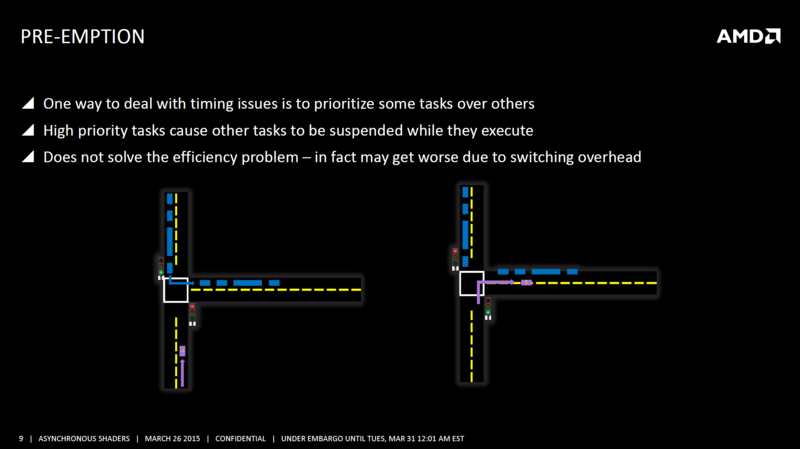 I am going to put my CT hat on what if Microsoft developed this method to improve AMD competitive advantage? Microsoft still ships tons of XBox Ones even as people say its lags behind Sony PS4. The new Elite addition of the Xbox One has a hybrid disk drive included and offers faster load times for frequently pulled files. There was a rumor that AMD was heading the way of the dinosaur then there was a rumor that Microsoft was considering buying them. The reason was to continue their close relationship on gaming and now visualization on the cloud. It makes me wonder if Microsoft did not add this feature that seems to benefit AMD in the DirectX mix? 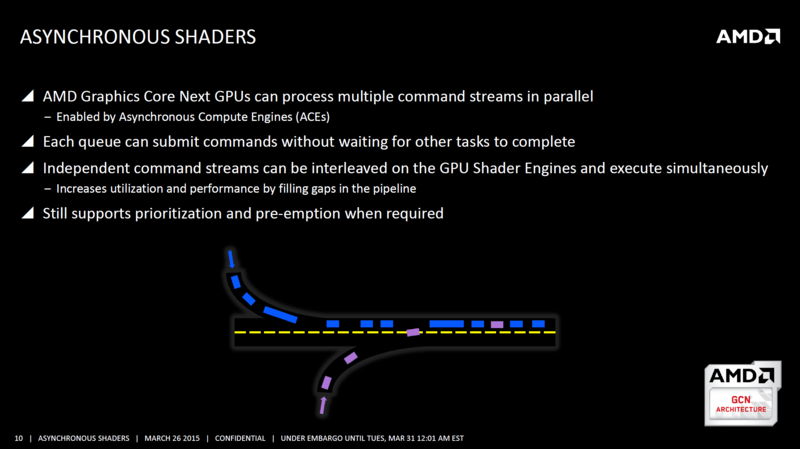 Microsoft could be involved but I think AMD were just banking on Mantle/Vulkan to take off and got lucky with DX12 making use of asynch compute / asynch shading. Nvidia on the other hand went all in on DX11 , and it shows, but now they may be looking into changing how they do things with Pascal cards. It should be noted that the Maxwell cards can perform asynch compute and shading but it can only handle one work load (1 engine + 31 queues).